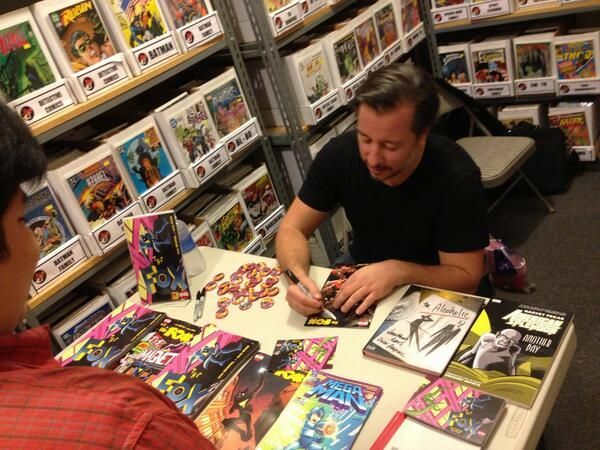 THANKS to everyone who came out to my signing (Big Ups to all the cats at JHU Comic Books!) and to everyone who picked up a copy and/or downloaded THE FOX #1 and gave us nice reviews. I'm very grateful for your cheer and support. If the "Freak Magnet" story sells well, there's a good chance I'll be able to do more FOX stories. Pre-orders are CRITICAL and help insure you get the comix you want to read in print so that you don't miss out. So, please ask your local store to pre-order it. This is very important. Again, thanks and I hope everyone gets to enjoy THE FOX.